Hi, Friend of the National Parks! Want to know which national park sites have the most bird species and get a few highlights of what you might see? 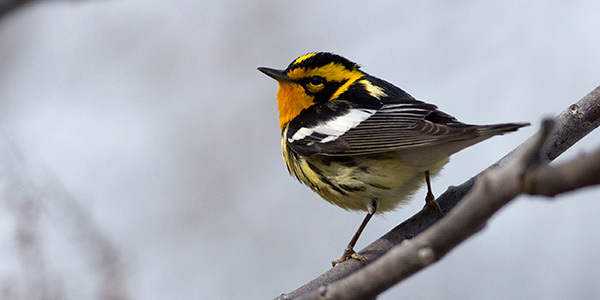 NPCA’s resident bird nerd has the scoop. The president signed an executive order last week that ignores science and public opinion on climate change to outline a devastating future for people and parks. The order, released under the guise of providing energy independence, could undermine rules that safeguard national parks from oil and gas drilling, among other harmful measures. Last week, Sens. Mark R. Warner (D-VA) and Rob Portman (R-OH) introduced the National Park Service Legacy Act, bipartisan legislation that would address the $12 billion repair backlog at the National Park Service by creating a dedicated fund for these critical transportation and infrastructure projects. NPCA strongly supports this legislation. Knowing when cherry trees will bloom is a big deal in Washington, D.C., and it’s not easy to determine. Meet the national park ranger who issues cherry blossom forecasts and learn why his job was particularly challenging this year. Utah lawmakers want to permanently repeal a plan that would clean up coal plants that are polluting eight Southwestern national parks, including Grand Canyon, Arches, Mesa Verde and Zion. Please ask your members of Congress to stop this attack on clean air and defend public health and iconic views in our Southwestern parks and communities. From Joshua Tree to Great Sand Dunes, these 6 special places are protected as we know them today thanks to these champions. Opening a tribal house and closing a divide: The Park Service ushers in a new era in Glacier Bay National Park and Preserve. Read this and more in the new Spring issue of National Parks magazine. Several national park sites span two time zones, such as North Dakota’s Theodore Roosevelt National Park, whose North Unit operates on Central Time and South Unit operates on Mountain Time. Only one site, however, spans three different time zones. Can you name this site? Explore some of the Midwest’s fantastic national parks this July and August. On Isle Royale, combine the deep history of the Keweenaw Peninsula with three days searching for the park’s famous wolves and moose among rugged forests, rocky ridges and small lakes. In Michigan’s national lakeshores, including Sleeping Bear Dunes and Pictured Rocks, explore soaring sandstone cliffs, shining beaches, splendid natural archways and sky-high sand dunes on this ideal summer journey. "Our national parks are places of pilgrimage, places where we return over and over again, to be still, to be contemplative. And not only do we save these lands, they save us. There’s something about this wild continuity that gives us courage, that allows us to be the best of who we are as human beings." REPORTS AND RESOURCES WAYS TO GIVE BECOME A MEMBER STORY IDEAS? FEEDBACK?